Does your senior living community have an integrated energy vision? 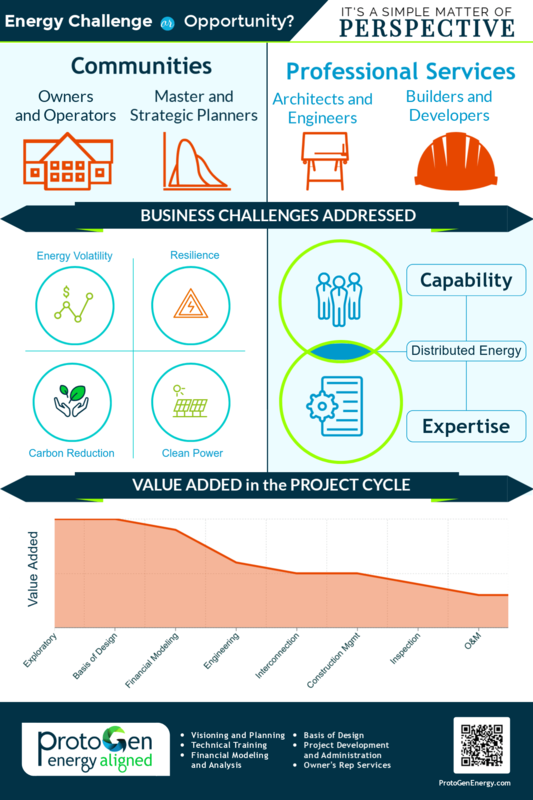 With today's changing grid, energy should be at the core of your planning efforts – controlling costs, ensuring its availability and adequacy, aligning it with your organization's mission and community's values. New combinations of well-understood technologies make it possible to meaningfully advance these directives in support of your overall business case. There's never been a more compelling time to evaluate the options. ProtoGen sees what others can't. With decades of combined experience in energy technologies, markets, and financial modeling, we're the expert other firms call. Whether you represent a senior living community or professional services partner, we understand your perspective. We've helped organizations both small and large find clarity and resolution on a topic that can be endlessly complicated.